The pumpkin is a block that sometimes generates on grass in grass biomes. It can be carved. Pumpkins can be mined with anything, but axes are the quickest. Any carved pumpkin will drop the regular, uncarved pumpkin, even if mined with a tool enchanted with silk touch. When pushed by a piston, the pumpkin will drop as an item. Pumpkins sometimes generate in small patches on the surface in plains, forest, and mountain biomes. When a pumpkin generates, it usually have the uncarved texture, however there is a small chance of it spawning with the first carving, and an even smaller chance of it spawning with the third carving. A fully grown pumpkin stem will spawn a pumpkin either side of it every so often, as long as it does not already have one next to it. When placed, the pumpkin will have the default, uncarved texture, however, like in generation, there is a small chance of it spawning with the first carving, and an even smaller chance of it spawning with the third carving. The pumpkin, like the jack o' lantern, can be placed in the helmet slot. Unlike regular armor, the player cannot simply shift click while holding it in their hand, because this would place it as a block. It does not provide any armor protection, however it does allow the player to look at an enderman without aggravating it. While the pumpkin is on the player's head, a transparent pumpkin face appears on the screen. This face is the first possible carving out of the ten, and there is currently no way of changing this. This is also the face of the pumpkin that is seen on the player. In order to spawn a snow golem, a pumpkin must be placed on top of two snow blocks. The pumpkin on the snow golem's head is a less detailed version of the first pumpkin carving, and there is currently no way of changing this. It is possible to change the carving of a pumpkin by shift clicking on it with shears. This cycles to the next of the ten possible carvings, eventually going back to the uncarved texture. Carving a pumpkin does not use up the shears' durability, which makes sense because there is no way of keeping the carving after the pumpkin is broken and collected. A pumpkin can be crafted into a pumpkin seed. To craft a jack o' lantern, you need a pumpkin and a torch. Zanzlanz posted a screenshot that contained carved pumpkins just visible on the right edge of the image. Added the pumpkin seed, making pumpkins farm-able. 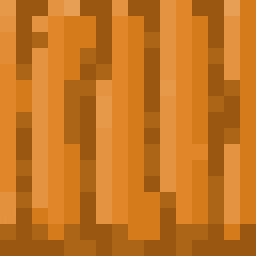 The first pumpkin carving, which is also the one which is used for snow golems and for when the player is wearing a pumpkin on their head, was the default texture of the pumpkin before the ability to carve pumpkins was added in 1.27. The player can wear a pumpkin on their head. A spoiler for pumpkin carvings, carved pumpkins can be seen on the right edge. A patch of carved pumpkins. This page was last edited on 22 December 2018, at 14:03.